Automation Technology and Robotics B.Eng. The automation of production processes is an important competitive factor for all industries in Germany. Electrical engineers with sound knowledge in automation and robotics contribute significantly to constantly improving the quality and efficiency of production. In the first three semesters of this program the basics of electrical engineering and information technology are at the forefront. An internship (in the 4th semester) gives students the opportunity to use their knowledge to examine industrial issues and to learn about the possible applications of automation technology. In the 5th to 7th semesters the specific contents of the automation technology are deepened. This includes current information technology, such as software in automation technology, control technology, and bus systems. It also includes topics such as drive technology and power converter technology as well as motion control and robotics. Further information in German: Automation Technology and Robotics B.Eng. The specialization in Automotive Mechatronics in the Automotive Technology program is primarily technically oriented. Students acquire the basic knowledge that is currently necessary in automotive engineering. This is not limited to mechanics: expertise in the fields of electronics and computer science is included. It is clear that automotive-related innovations are now implemented primarily through software-based functions. Specifically, this specialization includes the technical disciplines of mechanics, electrical engineering, electronics, computer science, and sensor and actuator technology. However, business administration, project management and presentation skills are part of the program. 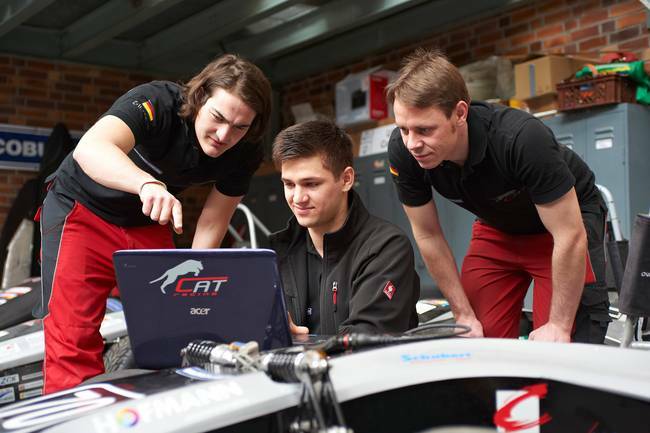 Further information in German: Automotive Mechatronics B.Eng. The automotive industry is a key sector of the German economy with great innovative strength, global issues and diverse career opportunities. The global automobile manufacturers and their suppliers are looking for well-trained industrial engineers. But other industries also require graduates with a broad technological and economic knowledge base. The specialization in Automotive Industrial Engineering in the program Automotive Technology combines the technical and economic aspects of the automotive industry. Students gain important technical knowledge in mechatronics, materials technology, and construction technology. At the same time they receive extensive business know-how in the fields of financial management, marketing and sales as well as project management and presentation skills. Further information in German: Automotive Industrial Engineering B.Eng. How is a genetic fingerprint created? How do scientists carry out a doping analysis? The program of Bioanalysis examines such questions. Students learn the common scientific and technical methods used in bioanalysis and are optimally prepared for a professional career. The program provides a deep understanding of biology and physical-chemistry as well as methods of analysis. Students familiarize themselves comprehensively with different chemical-biological methods of analysis. They are able to examine biological samples such as blood, enzymes and hormones. But the analysis of heavy metals in ecosystems or doping analysis is part of the range of tasks. Thereby, they develop a high analytical competence. Further information in German: Bioanalysis B.Sc. The Computer Science program at Coburg University is specifically geared to the professional requirements of the field. The instructors develop and test specific methods that enable computer scientists to independently learn new topics and stay up to date. Specific study projects with industry partners also provide early contacts with the experts in the field. The bachelor's degree in Computer Science at Coburg University is one of the 10 best programs at German-speaking universities. Students appreciate the course offerings, the competence of the faculty, the relation of the curricula to what is needed in their careers, the holdings of the university library, and the facilities in general. Further information in German: Computer Science B.Sc. Electrical Engineering and Information Technology B.Eng. "Basically, anything goes, but without electricity nothing happens." Electrical engineering allows today's society to function. Energy technology and information transfer / information processing are no longer conceivable without electrical methods. 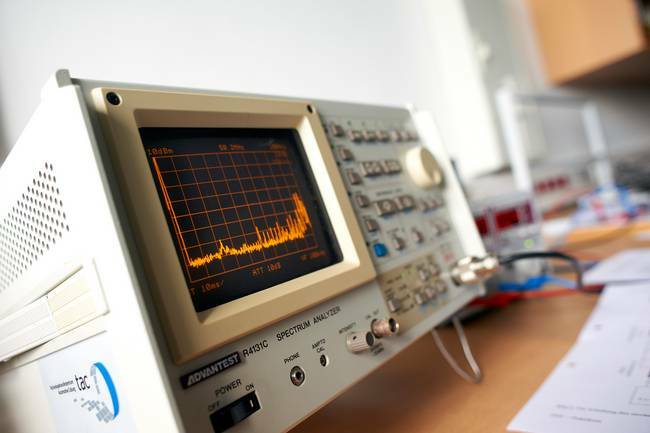 In the Electrical Engineering and Information Technology program, students acquire sound skills in electrical engineering, electronics, information and communication technology, signal processing and hardware-near microcomputer technology (embedded systems). Thus, in their careers they are able to quickly come to terms with practical tasks in specialized electro-technical fields. In their internship and in their industry-related bachelor's thesis, students establish early contacts with industry. The areas that graduates work in include research and development, production planning, quality assurance, and technical sales in various industries. Further information in German: Electrical Engineering and Information Technology B.Eng. The Mechanical Engineering program at Coburg University prepares students for the career of mechanical engineering. It provides a broad knowledge base that enables graduates to adapt to changing work demands in the workplace. By choosing areas of specialization in the sixth semester, students can pursue their individual inclinations. Possible areas of specialization are: development and design, manufacturing and materials, applied fluid technology, automotive engineering and simulation methods. The course is characterized by numerous projects - also with partners from industry. The professors maintain strong industry contacts, and current engineering topics are examined in the final bachelor thesis. International university partnerships allow exchange semesters and internships abroad, for example in England and China, as well as international double degrees. Further information in German: Mechanical Engineering B.Eng. Power Engineering and Renewable Energies B.Eng. Renewable energies will play an important role in the energy supply of the future. This provides major challenges for future engineers. 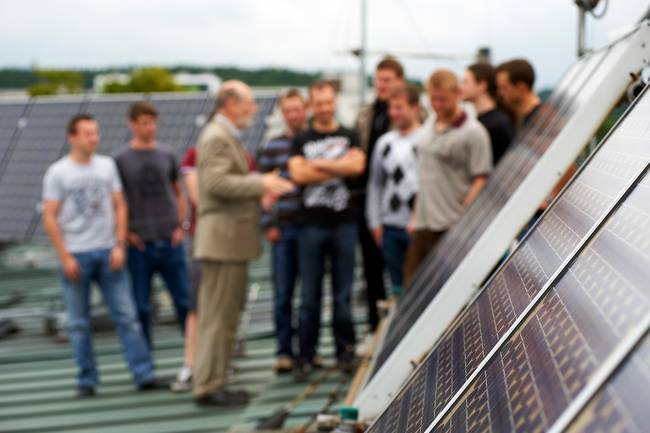 In the program Power Engineering and Renewable Energies, Coburg University is developing engineers of the future. The specialized fields of storage and distribution of renewable energy are the focus of this area of engineering. In the first three semesters the basics of electrical engineering and information technology are at the forefront. In the 4th semester an internship gives students the opportunity to learn about the technical professions in the field of renewable energies. In further semesters there is a concentration on various aspects of engineering and science. There are, for example, answers given to such questions as: How can a constant supply of energy be guaranteed with the fluctuation inherent in renewable energy sources? What requirements must the infrastructure meet? Key topics include storage technologies, intelligent energy management, special forms of electric power transmission, fluid mechanics, and thermodynamics. Further information in German: Power Engineering and Renewable Energies B.Eng. Students who like to apply their knowledge in mathematics, physics, chemistry, and computer science are right for the program in Technical Physics. 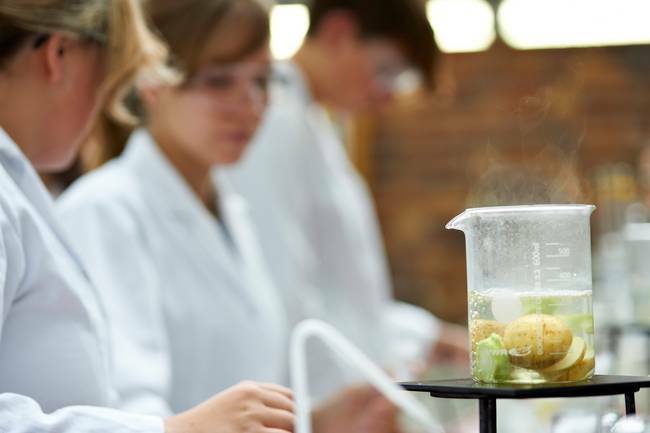 The course contents are broad, and laboratory courses play an important role. Thus, the knowledge acquired in the classroom is immediately implemented. At the beginning of the program students can choose one of two areas of specialization: technical physics or laser- and light technology. Graduates of Technical Physics program work on exciting projects, develop new products, test innovative materials and try to get to the bottom of scientific phenomena. This broad engineering program opens doors for graduates in different branches of industry, for example in energy and environmental technology, medical engineering or the chemical and automotive industries. Further information in German: Technical Physics B.Eng.